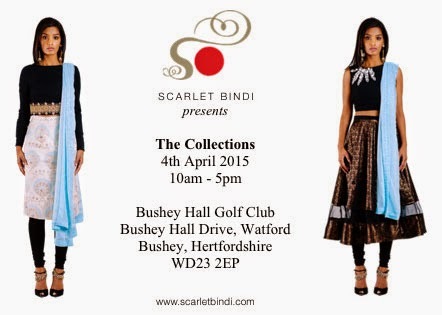 Online asian fashion retailer Scarlet Bindi are hosting a shopping event on Saturday 4th April in London. 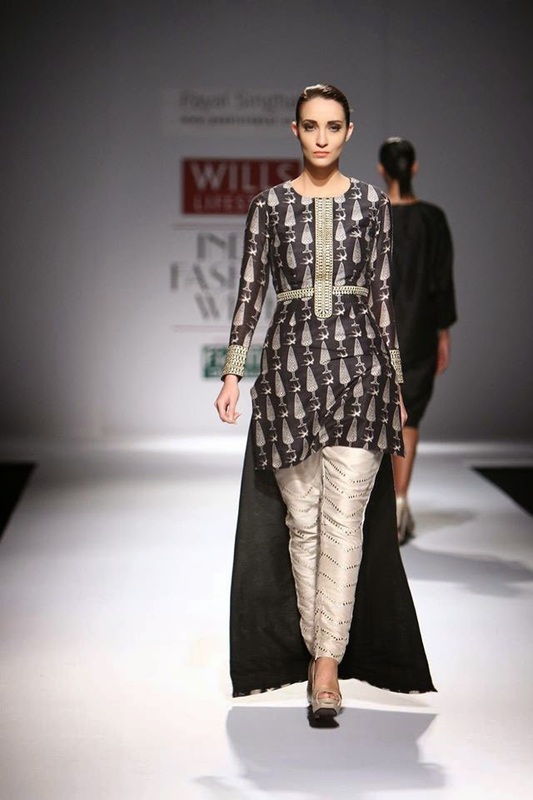 In addition to being a chance to see and try on Spring/Summer 2015 collections by the likes of up-and-coming brands Almari, Kanika Kritika, Mani Jassal, Paarull Goel, Puneet Bhandal & The Little Black Bow, they'll also be taking orders on made-to-measure outfits too. Here's a closer look at some of my favourites from their online store right now! 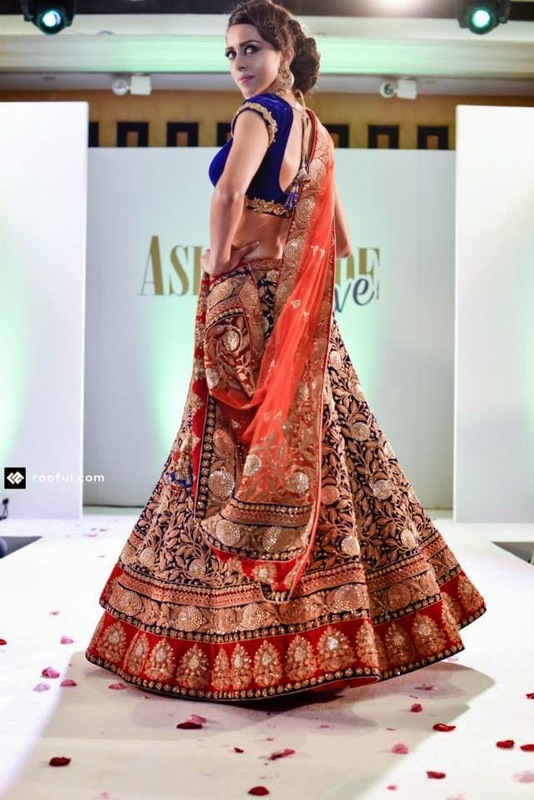 Stitch Three, formerly known as Faisana (and the team behind the Faisana Fashion Weekend catwalk shows from 2014), hosted a trunk show at The Athenaeum Hotel in London earlier this month. 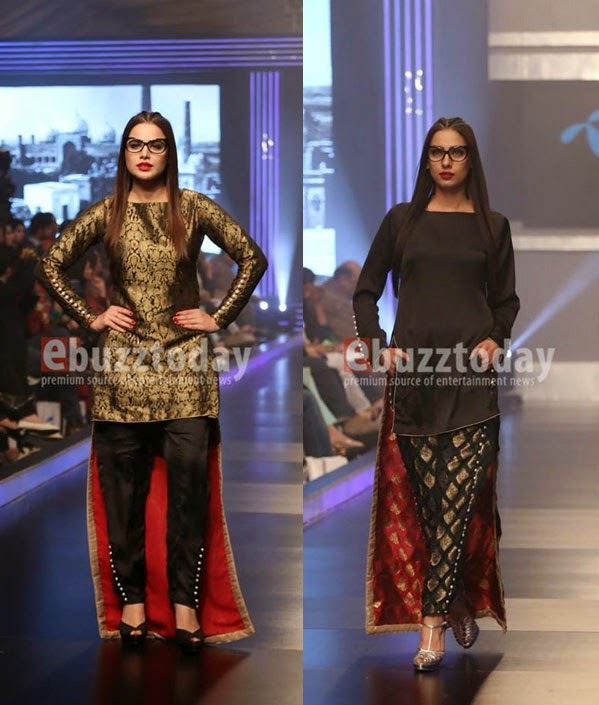 I happened to be spending that weekend in London and stopped by to visit the exhibition and browse the collections by the three headline designers - Malini Ramani, Misha Lakhani and Maheen Kareem. 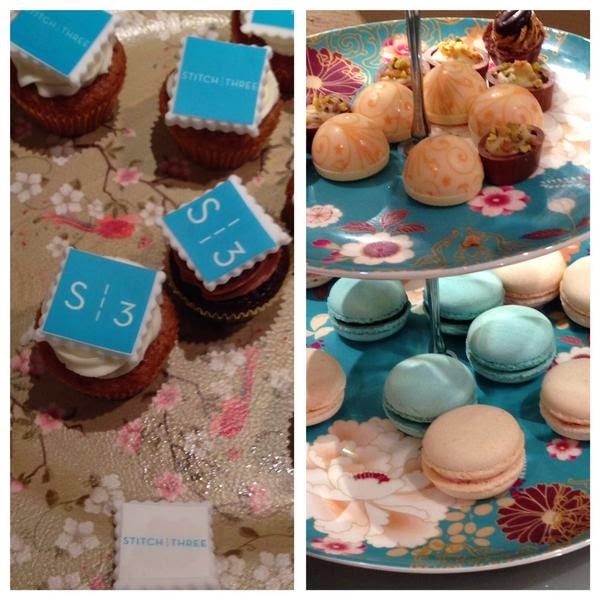 Visitors to the show were treated to a welcome including champagne, teas, coffees, cupcakes, chocolates and macaroons...as tasty at the treats looked, I was more excited to browse the clothing and jewellery collections! 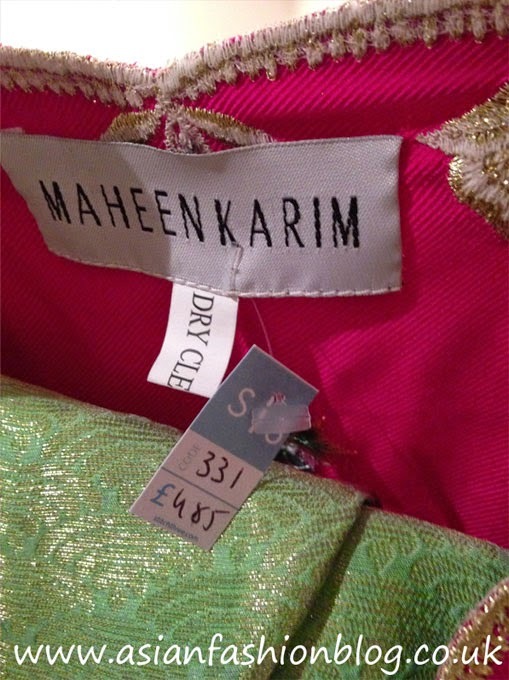 I had a good browse through all the clothes and went round the room twice before stopping at a rail of outfits by Pakistani designer Maheen Karim. Two outfits in particular caught my eye - both capes! The first was in midnight blue with orange trousers and an undershirt and the other was in a very vibrant hot pink with lime green undershirt. I tried it on with my jeans so you don't quite get the feel of how the full outfit should look, but overall I really liked the look and I'm really glad I tried this on! Here's a close up of the trousers and the price of this outfits...I think that's a "4" and not a "9"! My visit to the show was quite a short one - I was visiting with my 6-year-old niece and she hasn't quite develeoped her passion for fashion just yet! But one of my other favourite bloggers Safeera from Habibi Lifestyle got the chance to interview the Stitch Three Team and take some more pictures at the event, read her interview and check out her photos here: Success for Stitch Three's Fashion Day Out. 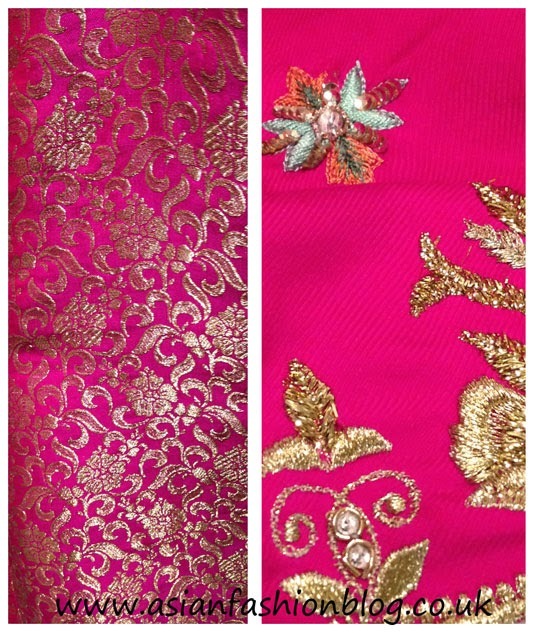 Follow Asian Fashion Blog's board Cape Styles on Pinterest. 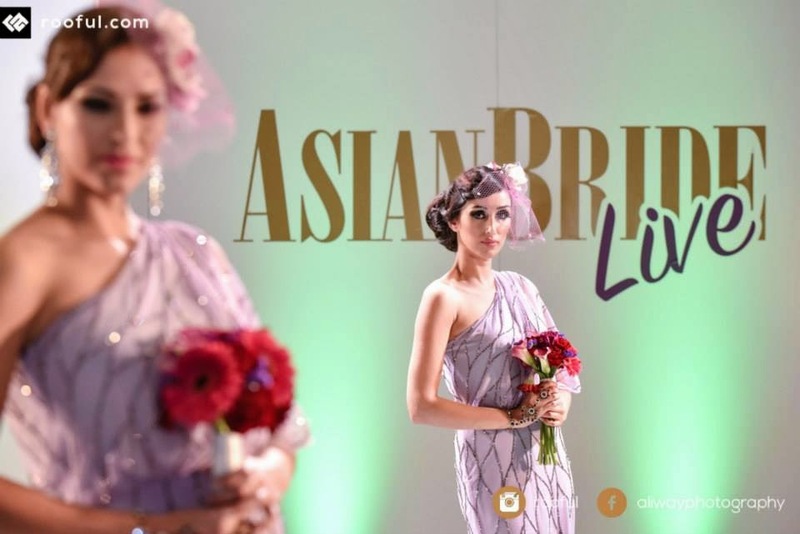 Last weekend, The ICC in Birmingham held host to Asian Bride Live! I didn't attend in person, but was following updates from the show on twitter and looking at photos from the catwalk. By all accounts it sounds like it was a great event! 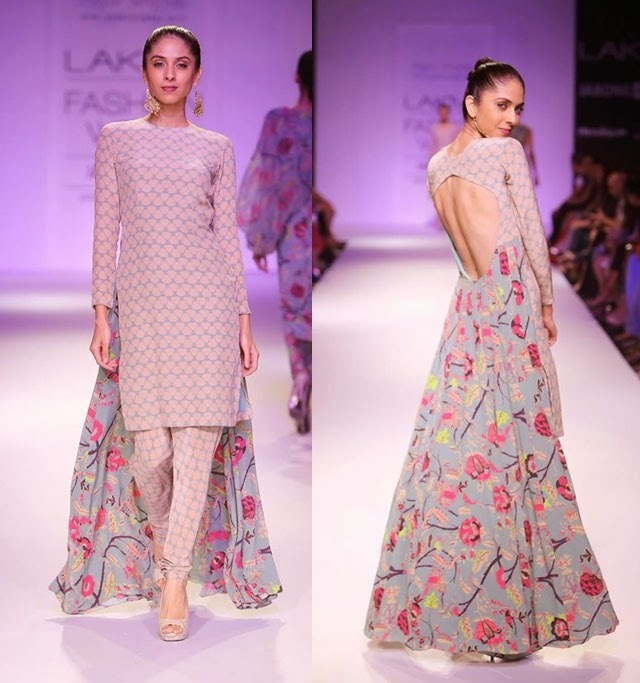 This style of high-low hemlines first came to my attention during Payal Singhal's Lakme Fashion Week Winter Festive 2014 collection and again at their Spring Summer 2015 Wills India Fashion Week Show. 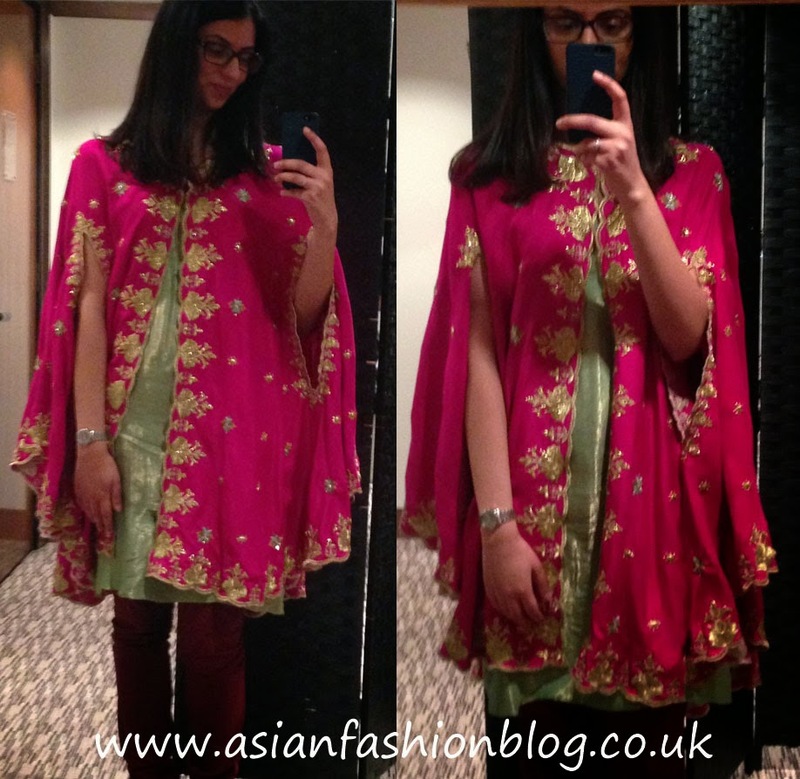 I paid a recent visit to Faika Karim's flagship store in Bradford a few weeks ago and got to try both of these outfits on for myself. I went on a Saturday and the small shop was quite busy; in addition to Faika Karim's own label, they also stock a number of other designers too. 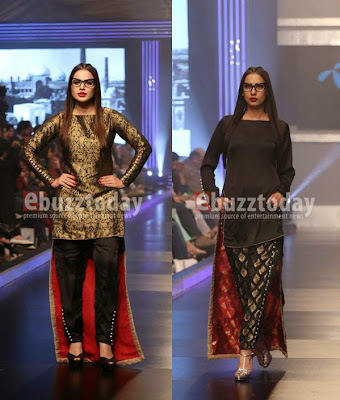 This collection, the "Lahore Pret" collection was displayed in the window and at the front of the shop and after browsing everything else in store, this was the collection I liked the most. The crowd cleared and I asked to try both outfits on. I was ushered into the fitting room, which was a tiny claustrophobic space underneath a staircase! I assume there's a nicer fitting room for trying on bridal outfits, as I did see staff disappearing behind a curtain towards the back of the store. Anyway, I tried the plainer black outfit on first, with the pair of dark skinny jeans I had on and really liked how it looked. The dress had a large diamond-shaped cutout at the back which I would probably have filled in, but aside from that I was sold! The store sample size was a good fit and I liked the little details like the pearls on the sleeves and the quality/finish overall. 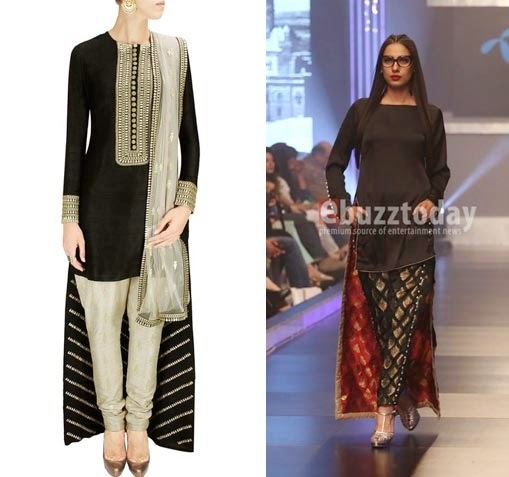 I tried the slightly heavier and more expensive black and gold jamawar design on next, and whilst it looked nice, personally for my style I felt the fit was a bit too stiff and formal - I liked the looser, more laid back feel of the first one. I can't remember the exact prices, but I think the price quoted for these was around £150 - £200, which for something quite casual, was a bit too expensive for me. The other thing that put me off making a purchase was the general feeling I got from the people working in the store. I know the shop was busy, but even after most of the other customers had left, the assistants didn't seem to show a lot of interest in making a sale. They were helpful and informative to a point, but it was minimal and it left me feeling like I'd rather spend my money elsewhere! I still love the style though and hope to have something like this in my wardrobe soon! 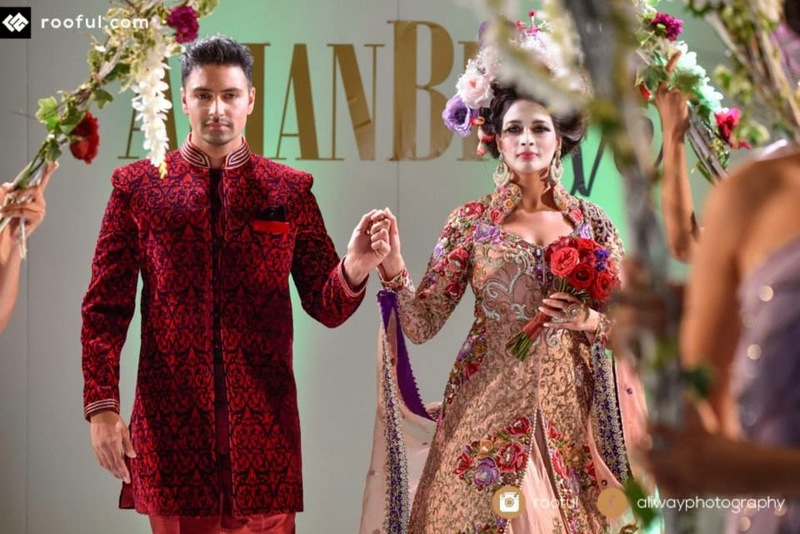 Asian Bride Live is coming to Birmingham later this month, on the 15th March, with an exhibition at the The ICC. I attended the show last year (check out my posts from the show here), and the catwalk show provided plenty of inspiration. 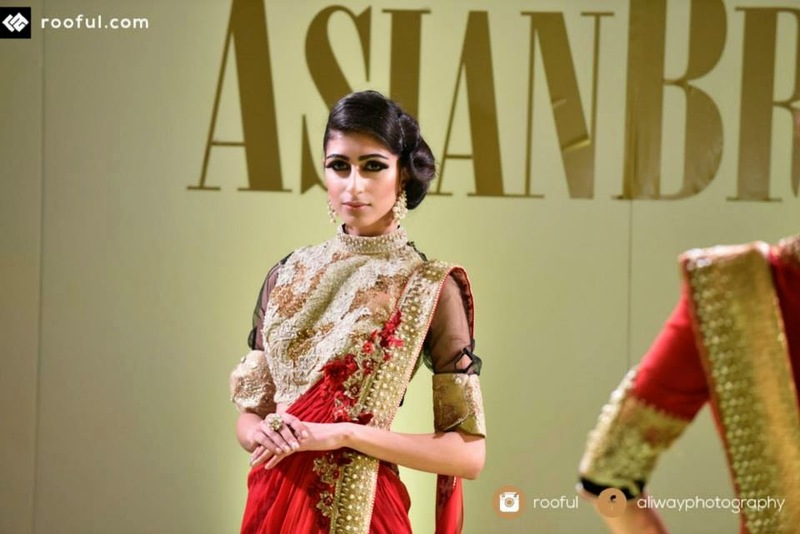 To give you an idea of what to expect from the catwalk show, here are some of the looks from the London Asian Bride Live fashion show! 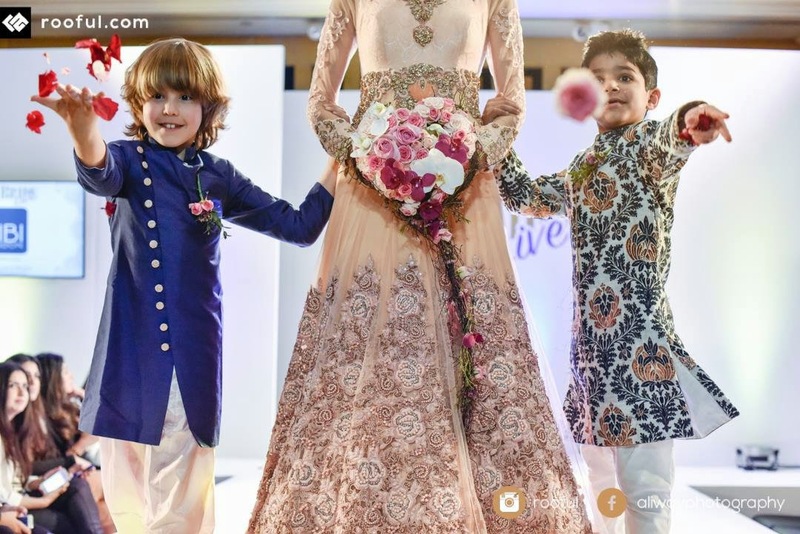 In among all the bridals, Bibi London's segment at the show also had some super cute kids! A favourite of mine from the 2014 show, I got the chance to speak to the design team, I liked a lot of what they showcased this year too! 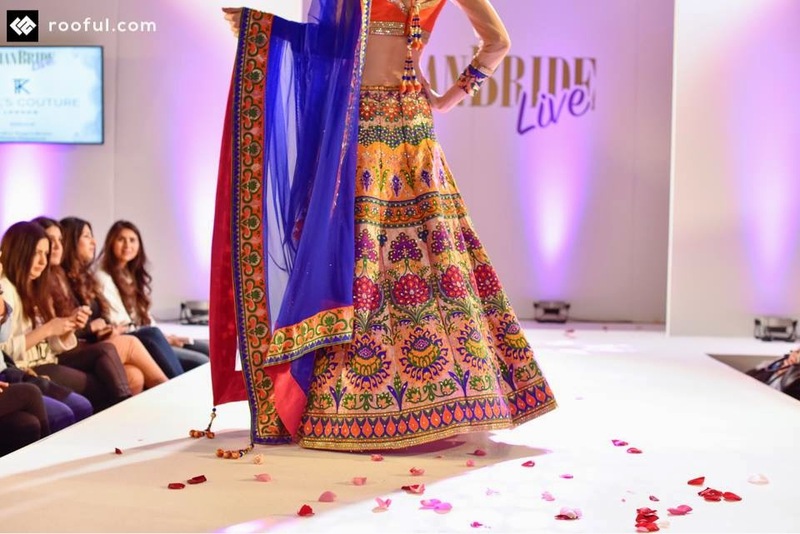 As well as showcasing Raishma's ready-to-wear gowns and dresses from her online store, styled as bridesmaids dresses, this show also marked the return of Raishma's bridal line. If her showstopper bridal dress wasn't striking enough, this collection made a huge impact thanks to the bold "vintage rose" look chosen for her model. Read more about how this look was created over on Raishma's blog here. Another standout from last year's show, I like the cut-out details and textures in the collections from Soltee...all the outfits aren't something I'd wear personally, but they definitely stand out for the right reasons! 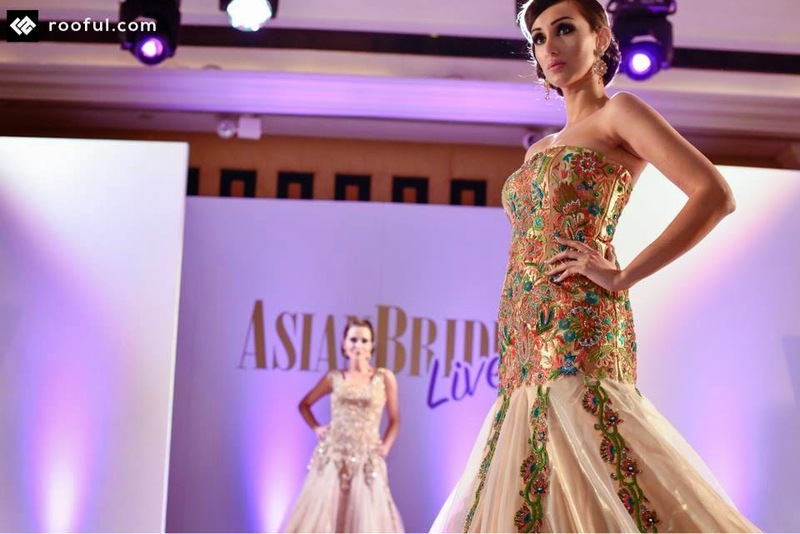 Tickets for Asian Bride Live Birmingham are available to buy online here. The exhibition is open from 10.30am - 7.30pm with tickets costing £3 per person. To attend the exhibition and fashion show, tickets are £5, with the fashion show times set for 1pm, 3pm and 5pm - hurry though as the at present the 1pm and 3pm shows are fully booked, with limited availability for the 5pm show! A huge thanks to Aliway for these photos. Video blogging, or Vlogging has been on my "to-do" list for a while now. I have plenty of ideas for posts which would be great in video format, but in all honesty, I think for now I'll stick to blogging from behind my keyboard, and leave the Vlogging to the people who are doing it best already! With that in mind, I thought I'd share three vloggers who I'm following at the moment. First up is Kaushal, this lovely lady has near enough 500,000 subscribers to her channel and whilst her focus is beauty, she recently published a video showing off all the outfits she bought on a recent visit to India. Tijan is half Indian and first came to my attention last year in the run up to her wedding. 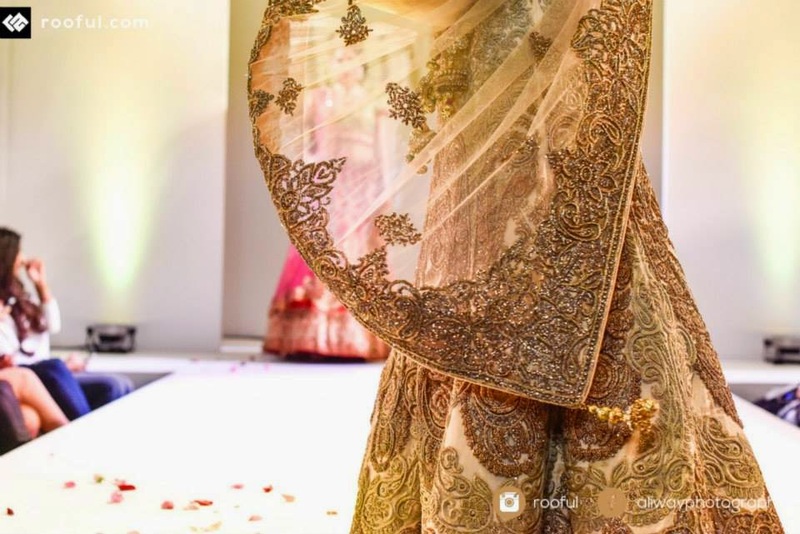 She has great style and whilst I'd say 95% of her posts are about western fashion, I was keen to see if she'd have any Indian influences in her wedding. She didn't disappoint, having a full on desi-style mehndi before her very English-country-style wedding. 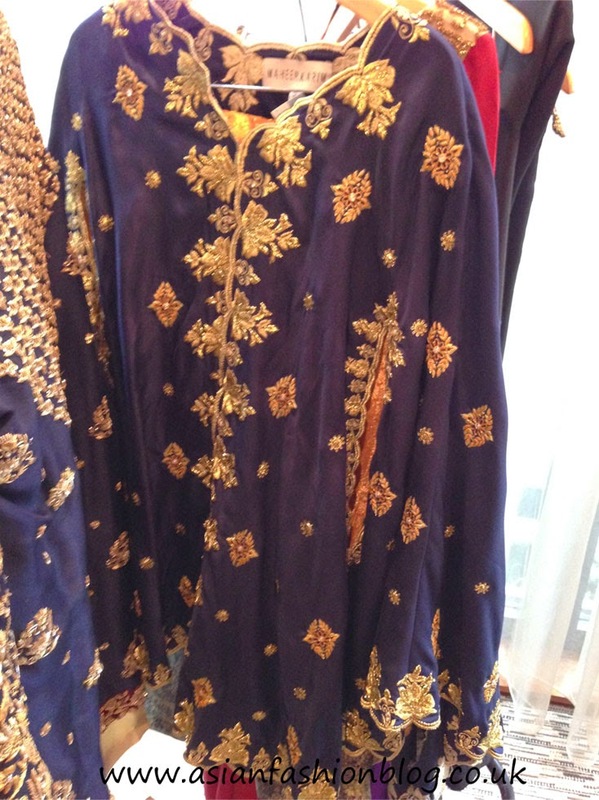 Her mehndi dress was from Sonas Couture and from the looks of it I'd guess her jewellery was from Kyles Collection. 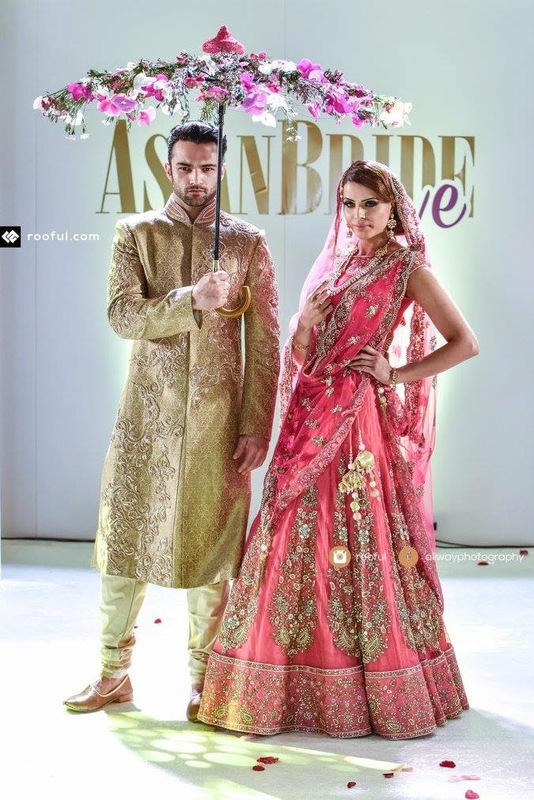 See more pics from her mehndi here: Tijan Serena Bridal Look #2 and subscribe to her channel here. Here's the video from her main wedding event, which looked amazing!! The newest channel out of my 3 picks - Faryal Makhdoom, launched her Youtube channel at the end of January this year and thanks to her fan following (plus all her haters!) her videos are already racking up hundreds of thousands of views. Considering she's still quite new to Vlogging, I've noticed improvements in her videos from the first upload to the more recent ones - she seems to be taking feedback on board and giving her viewers what they're asking for. I wouldn't exactly call myself a big fan of her, but I don't fit into the "hater" category either. I think she's an interesting character and I guess I'm subscribed more out of curiosity than anything else. 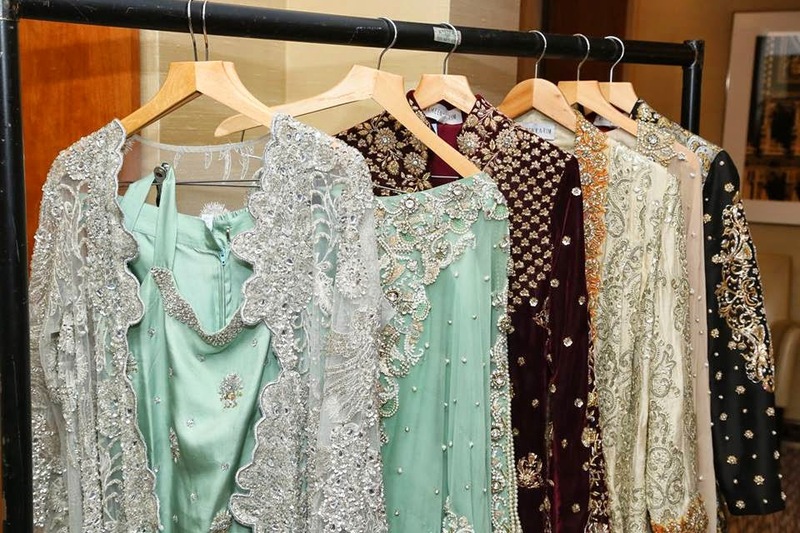 So far the focus has been beauty, but I'm hoping we'll get a peek into the asian outfits in her wardrobe too, I'd love a closer look at the Tarun Tahiliani's lenghas she wore for her wedding and walima! Subscribe to Faryal's channel here. These are my top 3, I'd love to know what other channels AFB readers subscribe to and why! Leave a comment below or tweet me your favourites @nazma_afb.